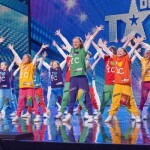 Latin dancers AJ and Chloe wowed once again on Britain’s Got Talent with their elegant and precise dancing style. 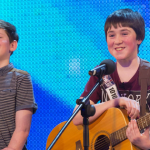 We loved their audition piece a few weeks ago and it was good to see the teenagers from the Midlands picking up where they left off at their BGT début. 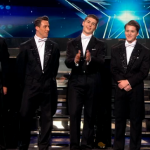 Tonight their staging was brilliant, their choice of music was spot-on and their dancing was simply incredible. How did the two DNA magicians do their card trick on Britain’s got talent 2017 semi final? Adam Garcia’s Team Got To Dance 2014 semi-final: Nicholas Marvel, Dan-I & Sia, Duplic8, Untitled, Unity Academy, Freddie Huddleston. How did Richard Jones do his David Beckham and cup of tea in a can trick on Britain’s Got Talent? 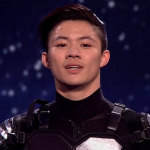 How did Alexandr Magala do his sword swallowing routine on Britain’s Got Talent? Copyright Britain's Got Talent. Powered by Project AR2 and WordPress.